Home Programming Articles How Gangnam Style Song changed the YouTube Code? Gangnam Style is the song release by South Korean musician PSY in 2012. It is not similar to thousands of song release in a year. This song got viral in very few days. The views of the song were increasing as fast as a Cheetah run. The views were that much that YouTube has to change their codes to store views. 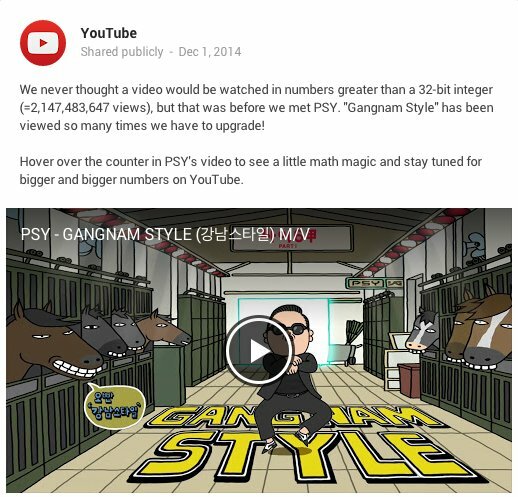 Actually, before Gangnam Style, YouTube stored its number of views in a 32-bit integer type. The range of 32-bit integer type is – 2 billion to + 2 billion. The total number you can store in a 32-bit integer type is 232 which is around 4 million (2 billion before the zero and 2 billion after the zero). If the number will be greater than 2 billion then there will be an overflow error in the code of YouTube views count. This is the reason why YouTube changed the integer value to store YouTube count views after Gangnam Style. At present, Gangnam style has 2.8 million views. Now, YouTube stores view count in 64 bit integer data type which is around 9 Quintillion, a way longer than 32 bit range. For this update, youtube revealed a notice which looks likes this. I don’t think that any song will break this number. But Everything possible in this world of Internet. May Be, Gangnam Style will break this number also because According to forbes, Still in 2017, Gangnam Style receive 30 million views in a day. Whatever, PSY earned a lot from this song. 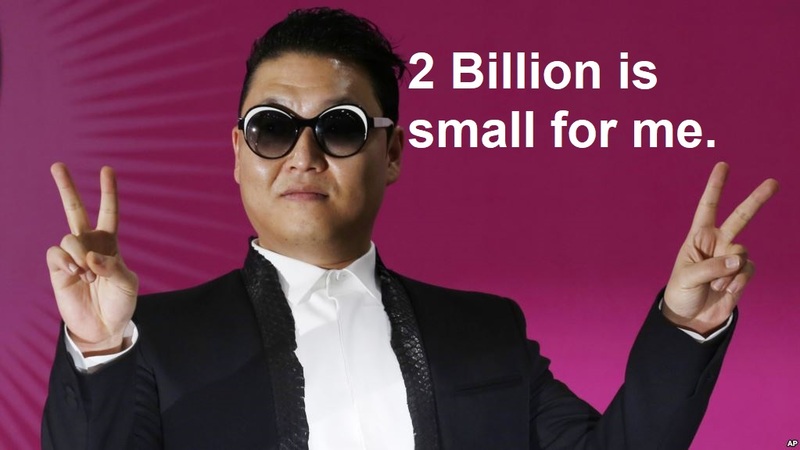 An earning report was revealed in 2013 which showed that PSY earned $8 million from this song. Next articleXavier Malware hit 800 Android apps.